Dennis and Sandy Hagerman founded Hagerman and Company in 1984. Sandy served as Vice President of Sales and was instrumental in building the Company during the next 28 years assisting in business acquisitions, territory expansions, and directing the sales team. 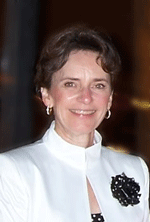 In 2011 Sandy became President of Hagerman & Company, and in 2012 she was named President/CEO. Andrew has held numerous sales positions with Hagerman & Company since starting with the company in 1993. In his current position of Regional Sales Manager, Andrew oversees sales efforts in IL, IN, MI, KY and OH, including selling directly to accounts in the Chicago-land area and northern Indiana. The father of three boys, Andrew also is a coach for the Okaw Valley High School baseball team. Dennis Watson joined Hagerman & Company in 2015 in the position of Director of Processes/Operations and CRM Technical Manager. Dennis previously managed the St. Louis Hagerman office for 12 years and spent 15 years with Siemens PLM. David joined the company in 1988 after graduating with a degree in Marketing from Millikin University. Since then he has worked primarily in an operations role, and currently oversees the transactional aspects of the business including sales operations and accounting. David is a musician and in his spare time enjoys singing and playing keyboards in a blues band with long-time friends. 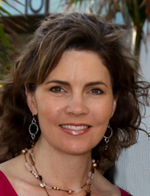 Elaine was the first full-time marketing hire at Hagerman in 1993 and now manages a team of marketing professionals that support customer interests through the company website, events, trade shows, email marketing, social media and PR. She is a graduate of Millikin University with a degree in Communications/PR. Jeremy has been a regional vice president of Computer Associates and has worked with Dickens Data and Unisys. He brings a wealth of sales and sales management experience to the position. In addition to his professional career, Jeremy believes in service to the community. In 2003 he was a mayoral candidate in the Denver Mayoral Election. John Boline is Service Manager for Hagerman & Company, Inc. and has been a member of the Hagerman team since 1991. John is a veteran of the computer service industry with over three decades of industry experience. He holds MCSE, MCP, MCTS and MCP+I from Microsoft, Unix certifications from SGI, SUN-OEM, Unisys and Convergent Technologies and a CNE certification from Novell. A native of Decatur, Illinois, John is a member of the Network Professional Association, the Technology Adoption Panel and the Service Providers Advisory Panel, is an application and operating system beta software tester for various companies and has served on focus groups for new product and service offerings from tier one hardware and software vendors. 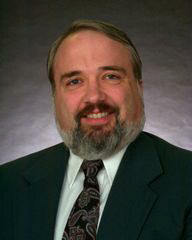 Ken Christensen is Regional Manager and Account Manager based in St. Louis. Ken graduated with a BS in Electrical Engineering and an MBA from the University of Missouri, Columbia. Previous industry experience includes 5 years in engineering sales for an automotive supplier that achieved QS9000 certification and the prestigious Malcolm Baldridge Quality Award. Ken joined Hagerman & Company in June 1998 and became Regional Manager for Missouri. 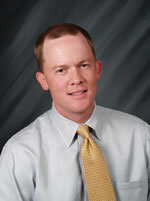 Matthew Lane is Director of Consulting Services for Hagerman & Company, Inc. He has been associated with Hagerman & Company, Inc. since 1984 and has previously held the roles of Sales Engineer, and Senior Applications Engineer. 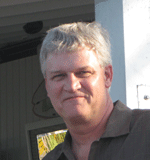 Matt graduated from Millikin University in 1984 with a degree in industrial engineering. During his many years with the company, he has successfully completed a wide variety of projects including implementing CAD and CAM software at dozens of companies, developing post processors for hundreds of 2-5 axis machine tools, conceiving and programming both customer specific and commercially available software packages, and performing detailed consulting and reporting engagements at customer sites. 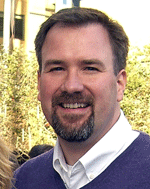 Matt has served as an industry panelist and speaker at numerous national conferences and events. In his present position he spearheads the operation of Hagerman’s consulting group, which is responsible for design automation and PDM/document management projects for industry. He is a Microsoft Certified Professional and is both an Autodesk Manufacturing Implementation Certified Expert and an Autodesk Data Management Implementation Certified Expert. Tad Whitchurch is Regional Manager for the Northern Illinois region, based in Schaumburg, and Director of CAD/CAM Training and Support for Hagerman & Company. Before joining Hagerman he was employed for 11 years at Ingersoll Milling Machine Company in Rockford, IL, rising to the position of Senior Customer CAM Programmer. Tad joined Hagerman and Company in 1988, opening the Northern Illinois region. 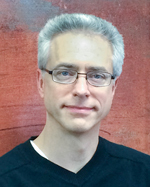 Tad is an Inventor Certified Expert and Autodesk Manufacturing Implementation Certified Expert.